Duane Bowers is a regular kind of guy… You can hear it in his voice… And yet, he brings a wealth of knowledge and common sense to the shattered landscape of those experiencing trauma. He specializes in working with families who have a missing loved one, exploited children, suicide, and various populations dealing with post traumatic stress including the military, victims of terrorism in the U.S. and in war-torn countries…. Duane Bowers is also the Facilitator at the annual Keys to Healing Retreat sponsored by Project Jason for the well-being and care of families with missing persons. 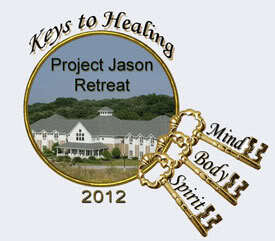 For registration information on the August retreat, visit the Project Jason website: http://projectjason.org/forums/index.php?topic=11580.0. Families return year after year, particularly if their resolution is not yet in their grasp… for support, sustenance and hope. Shattered Lives was treated to a great hour with this insightful man and very likeable professional….. Please do listen …..
Trauma & Certified EMDR – What is it and why is it important? You know a family member or friend needs help…Yet how do you convince them? What to know about Childhood Sexual Abuse and repressed memories as an adult?